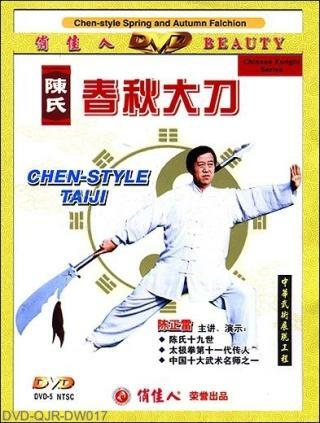 Chen-style Spring and Autumn Falchion is also called Black Dragon Half-Moon Falchion, which is one of the middle-long weapons of Chen-style Taiji weapons. The name of the routine consists of thirty chants. The movements are reasonably arranged. They are chop, cut, poke, parry, thrust, intercept, press, push, slice, block and swing in figure-8 form, which are conducted very clearly. When practicing, you must have a sound command of boxing skills, especially you should have a strong and powerful waist, legs and arms.